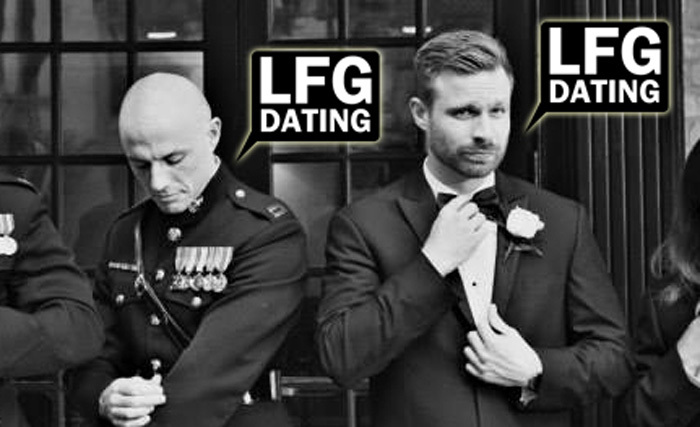 Pat here – I’m the cool looking guy in the Marine dress blues on the left – with a quick, but awesome web development update for the LFG community. After a crazy, but much needed vacation, and way too much grad school work to catch-up on, I have been smashing bugs like it’s cool, and lots more great changes to come. Hit the link below for the full details! Alright so first let’s touch on the fixes, as there are two of them which many of you have regretfully encountered (but no more!). First off when you originally registered, or if you’ve ever modified your profile information or match preferences, you may have spotted a rogue, but basically harmless SQL error in the top left-hand portion of your screen. Well, it is now a distant memory, and in fact, LFGdating is 100% sql error free! The second bug – and this was a purely cosmetic one as well – popped up subtly on each user’s own personal profile page. In the “looking for” informational section, you may have noticed that it always displayed incorrect information for the height and age of the match you were looking for. While other users actually could never see that box on your profile page – and you could verify this by going to another user’s profile page and seeing that the same box is not present – it was purely a cosmetic error as the choices you selected were inputted into our matching algorithm. Regardless, the error has been corrected, so the choices you make are now being correctly displayed on your profile page! As for enhancements in the near future, we’ve got a revamped front page in the works, and wait for it … wait for it … a full fledged mobile version of the site coming soon! While we do actually have an iOS app for LFG, we are putting more grunt work into an overhaul before re-releasing it to the community. I am hoping to get the new mobile site up extremely soon, however, so standby for more updates!